Scam and Virus Problems - Computer Repair & service, Pc & Mac, Laptop, Desktop, Virus Removal, Networking, Data Recovery, Cloud backup, Port Coquitlam, Vancouver, Barnaby, Coquitlam, Port Moody, Maple Ridge, Near me, Computer Recycle & Donate, used comput - CompuBC Information Technology Services Ltd. Managed Services for Residential & Small Business. PC & Mac. DON'T click anything on the pop-up, even to try to close the window. In particular, DON'T call or contact anyone except your Computer technician. Immediately unplug your computer from the network. The last thing we want is to have that infection spreading, if your PC really is infected. Close all documents, saving any changes to your local Documents folder if necessary. We had a situation recently where a client followed the instructions on the pop-up, calling a toll-free number for support to 'disinfect' the PC then following verbal instructions to provide remote access to the PC. We were lucky: this scammer really only wanted a credit card to pay for the 'support' and hung up when my client requested the guy on the phone to talk only to his computer technician, but for a brief period they were in control of one of the PCs on our network. It could have gone bad very quickly. the scammers could have installed a Trojan Virus that send them his information like bank accounts or any of your secured passwords, and a back door might have been installs to let them back on his computer. YOU are one of the most important security layers. Your caution, your diligence, can stop most potential attacks dead in their tracks. Just remember: if you ever have any concern about a possible attack, virus or other support issue...call me. No one else. ​Never allow remote access to someone who called you. Remove FBI Moneypak/Interpol/Mandiant/Cyber Security virus from the computer. This is a type of threat, known as ransomware, which displays alerts that keep asking you to send money to unlock your computer. A ransomware restricts access to the computer and demands a ransom to be paid to the creator of the threat to use the computer. The threat instructs the user to send money by Moneypak or uKash depending on the region. These threats try to trick you into sending money by making you think that your computer is no longer accessible. 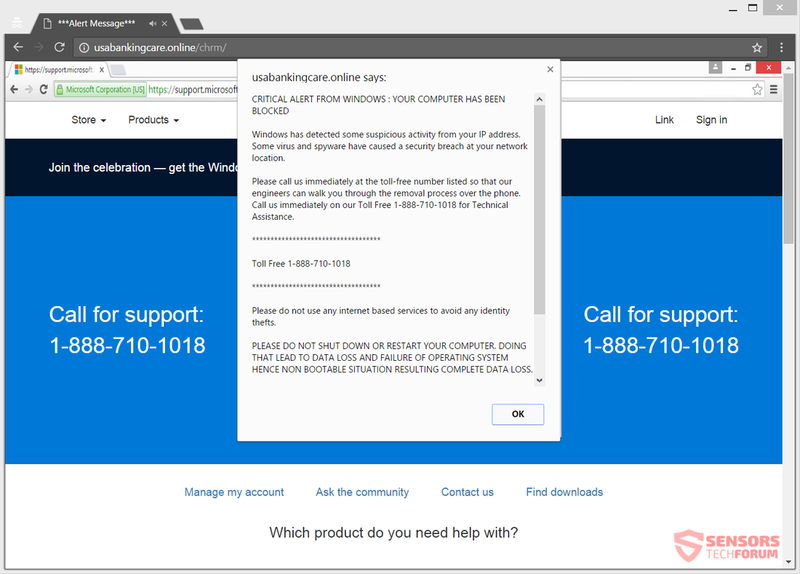 Information about technical support scams and how to avoid them. ​It is important to run your computer at peak performance. Over time, regular use of your computer builds up unneeded files and fragments your hard disk. Bad computer habits also contribute to computer slowness. Using multiple programs at once, putting the computer to sleep instead of regularly restarting, browsing the Internet with multiple browser windows, adding plug-ins and services, and neglecting to perform regular maintenance. These all can add up to poor computer performance. Cyber criminals often use the names of well-known companies, like ours, in their scams. They think it will convince you to give them money or your personal information. While they usually use email to trick you, they sometimes use the telephone, instead. "You have won the Microsoft Lottery"
Microsoft "requires credit card information to validate your copy of Windows"
Microsoft do not send unsolicited email messages or make unsolicited phone calls to request personal or financial information or fix your computer. If you receive an unsolicited email message or phone call that purports to be from Microsoft and requests that you send personal information or click links, delete the message or hang up the phone. In this scam cyber criminals call you and claim to be from Microsoft Tech Support. They offer to help solve your computer problems. Once the crooks have gained your trust, they attempt to steal from you and damage your computer with malicious software including viruses and spyware. Microsoft require that your copy of Windows is legitimate before you can obtain programs from the Microsoft Download Center or receive software updates from Microsoft Update. Microsoft online process that performs this validation is called the Genuine Advantage Program. ​At no time during the validation process do we request your credit card information. In fact, Microsoft do not collect information that can be used to identify you such as your name, email address, or other personal details. To learn more, read the Genuine Microsoft software program privacy statement. To learn more about the program in general, see Genuine Windows: frequently asked questions. When Microsoft release information about a security software update or a security incident, Microsoft send email messages only to subscribers of our security communications program. Unfortunately, cyber criminals have exploited this program by sending fake security communications that appear to be from Microsoft. Some messages lure recipients to websites to download spyware or other malicious software. Others include a file attachment that contains a virus. Delete the message. Do not open the attachment. Legitimate communications do not include software updates as attachments. Microsoft never attach software updates to their security communications. Rather, thy refer customers to their website for complete information about the software update or security incident. Legitimate communications are also on Microsoft websites. If Microsoft provide any information about a security update, you can also find that information on Microsoft websites.